Recoil 760/780 ES SmacWrap iron shafts are an evolution of the Recoil 760/780 ES models. These iron shafts are designed to provide maximum control and distance for all golfers through the latest in design and materials. 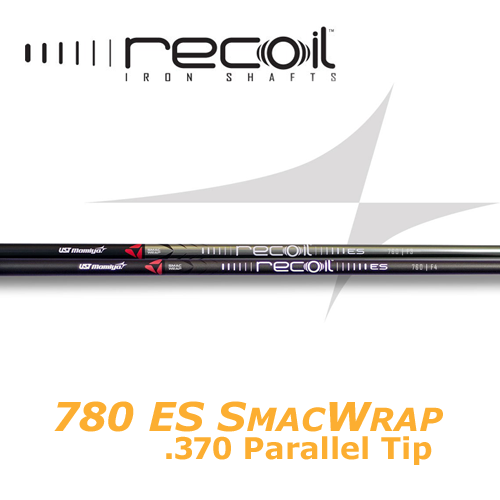 We incorporated SMACWRAP into the shaft to provide better feel through higher damping rate. 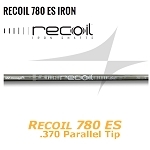 Recoil 760/780 ES SmacWrap iron shafts are offered in a brand new Recoil design and two different finishes, Ion Plated and Matte Black. SMACWRAP is viscoelastic material that is able to bring a high amount of damping (vibration absorption) in composite structures when it is located strategically within a composite structure’s core. SMACWRAP optimizes noise and vibration damping at the source in a smart way without any need of add-on damping products.